(Newser) – A woman accused of suffocating her newborn baby in a plastic bag at work is facing charges of child abuse and murder. A judge made the ruling today after hearing testimony in a Detroit suburb, the Detroit News reports. 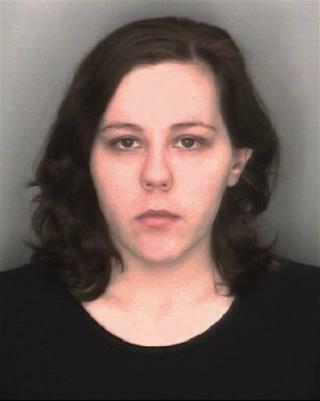 Kimberly Pappas, 26, allegedly gave birth in her office bathroom on March 31, put the baby in one bag, placenta in another, and placed them in her desk. Her sister, Cassandra Pappas—who worked in the same office—says Kimberly texted her asking for a set of fresh clothes and looked really sick. "She said she had an accident," says Cassandra. Kimberly said she "had a heavy period," says a first responder, but she later said she'd miscarried and put the baby in her desk, Hometown Life reports. When you give birth and your sister works in the same office, you call for help. You celebrate a birth. You do not put an infant just born in a plastic bag and put it in your desk. You call an ambulance if you think there is a problem. What the heck is wrong with people and this a woman also. Something is very wrong with our society if young women make choices like this. She will have a lifetime job offer at Planned Parenthood.